That concludes our coverage of Villarreal's victory against Zenit in the last 16 of the Europa League. We hope to have your company again soon. Until then, it's goodbye for now. 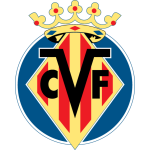 After easing through the last 16, Villarreal will learn their next opponents when the draw for the quarter-finals takes place on Friday. Progressing this far is an impressive effort considering they sit just one point above the drop zone in LaLiga, a situation that could get a whole lot better with a win against 19th-placed Rayo Vallecano on Sunday. Zenit, meanwhile, can ease their disappointment in Europe by pressing for silverware back in Russia, with a visit to Spartak Moscow their next assignment. GOALL!! Zenit have a consolation through none other than Ivanovic. It's a cool finish from the former Chelsea favourite as he volleys into the bottom-left corner, punishing Ruiz's poor clearing header amid a scramble in the box. It's back to 2-1 in Spain and 5-2 on aggregate. We're closing towards the 90-minute mark now and this looks bound to be a resounding victory for Villarreal. They've outclassed Zenit across two legs and lead 5-1 on aggregate. Fornals, who forever seems to be scheming when he's near the ball, tests Kerzhakov with a low drive towards the bottom corner, but the substitute goalkeeper is up to the task. That won't make the highlight reel. Driussi shoots well, well wide of the left post from around 30 yards out. Costa nudges Smolnikov to the floor and Zenit have a free-kick in a good position just outside the area. The defender picks up a caution. 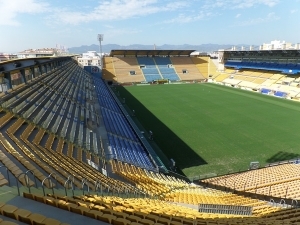 There's applause around Estadio de la Ceramica as Villarreal stroke the ball across the pitch in pleasing style! Funes Mori's job is done and he makes way for Miguelon with just over 10 minutes of normal time to play. Cazorla can't make the most of an opportunity to get on the scoresheet as he leans back on Moreno's pass and blazes over following a turnover in midfield. Here comes Cazorla! The ex-Arsenal midfielder is on to give Iborra a breather. Semak makes his third and final change, removing Azmoun and replacing him with attacker Mak. On second look, Rakitskiy went down far too easily after feeling slight contact from behind. A strange decision with the goal at his mercy. Zenit go in search of a consolation but Smolnikov, whose delivery was poor last week, can't clear the first defender when presented with a good crossing opportunity. Sergei Semak is forced to change his goalkeeper with Lunev unable to continue. He appeared to tweak a muscle after slipping while kicking the ball earlier in the second half. Kerzhakov comes on for the final 25 minutes or so. A couple of Villarreal corners in quick succession ultimately come to nothing. They still appear hungry for more goals even with the tie beyond doubt. 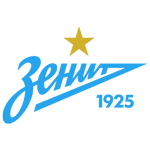 Hernani drives to the byline and wins a corner for Zenit. He's looked a lot more comfortable going forward than defending in a wing-back role. Shatov catches Fornals' heels from behind and earns himself a yellow card. Rakitskiy's cross from the left is shallow and the Villarreal defence capably deal with it. They've been hardly tested since Azmoun passed up those two first-half chances. Ruiz becomes the first player to go into the referee's notebook after going through the back of Ozdoev. That goal is Bacca's first since a Copa del Rey draw against Espanyol on January 9! Lovely play from Moreno as he registers an assist to go with his earlier goal. The 26-year-old shook off Hernani's attention on the right flank, cut back onto his trusty left boot and delivered a wicked ball in for Bacca to double the margin. GOALLL!!! It's 2-0 for Villarreal and 5-1 on aggregate! Bacca set up Moreno's opener and the latter returns the favour, crossing expertly behind the defence for the big striker to head home at close range. Back underway between Villarreal and Zenit with the hosts well on course to reach the Europa League quarter-finals. Morlanes impressed in the first leg and he has another 45 minutes to torment Zenit, coming at half-time in place of Caseres. Zenit have made one change at the interval with Kranevitter replacing Barrios in midfield. You could excuse both coaches for beginning to look towards their forthcoming domestic fixtures during the next 45 minutes. We might start to see some of the more important players on the pitch head for the bench given the unlikelihood of Zenit scoring the three goals needed to push this tie into extra-time. A promising moment for the home side is curtailed as Moreno's pass across the top of the box is wayward, the ball running out for a throw-in. Half-time is approaching in Spain and Villarreal are now well in control after a slightly nervy opening 15 to 20 minutes. Azmoun finally has the ball in the net but it's a long way after the whistle was blown for Shatov's late challenge on Gonzalez. Rakitskiy ruins a nice passing move by slicing an audacious long-range shot a long way over the crossbar. Zenit's task seems simple now and that's to stop the scoreline from ballooning out. They can count themselves unfortunate to trail at Estadio de la Ceramica. Moreno was on target in the reverse encounter and his fine strike here means Zenit must score three times simply to push the match into extra-time. GOALLL!!! If they're weren't assured of a place in the quarter-finals before, Villarreal are surely on their way now. It's a quick counter-attack that undoes Zenit as Moreno advances forward and curls a classy left-footed finish over Lunev, who will perhaps be disappointed that the ball ended up hitting the net in the middle of the goal. The LaLiga side lead 1-0 in the second leg and 4-1 on aggregate. Bacca was the important link in the counter-attack as he received the quick pass out of defence, turned, and moved it forward for Moreno. Hernani makes a positive break into the box and Funes Mori is forced to shuffle across and put the ball out for a corner. The defender yells at his team-mates, urging them to wake up. Calleja's men look to be targeting Zenit's left-sided combination of Hernani and Rakitskiy by moving the ball out to that flank at every opportunity. Villarreal are just settling things down at the moment and a better couple of minutes ends with Iborra nodding wide after a corner was flicked into his path. Not an easy chance. Zenit deserve some credit for the start they've made. They're seeing more of the ball and have created the best two chances of the game. That's two wasted one-on-ones now for Azmoun. He had a mixed game in Saint Petersburg seven days ago despite scoring Zenit's only goal. The referee calls over Ruiz for a discussion after the defender held back Azmoun. No booking on this occasion. Villarreal's two wing-backs are both dropping deep when out of possession. Zenit will have to be crafty to pierce that shield. Lunev had to be alert there! Moreno cut inside from the right and curled what looked to be a cross towards the far post. It ends up threatening to sneak inside the top corner and the goalkeeper is forced to tip over. Bacca gets his head to a cross but it's a touch too high and Lunev eventually cleans up the loose ball. No point being conservative for the visitors. With at least three goals required, they need to get on the front foot early. We're underway between Villarreal and Zenit! The Spanish side hold a 3-1 advantage from the first leg. The players are out on the pitch and kick-off is just moments away! ZENIT SUBS: Luis Neto, Anton Zabolotny, Alexander Anyukov, Daler Kuzyaev, Matias Kranevitter, Robert Mak, Mikhail Kerzhakov. ZENIT XI (4-3-3): Andrey Lunev; Igor Smolnikov, Branislav Ivanovic, Emanuel Mammana, Yaroslav Rakitskiy; Hernani, Wilmar Barrios, Magomed Ozdoev; Oleg Shatov, Sardar Azmoun, Sebastian Driussi. VILLARREAL SUBS: Sergio Asenjo, Miguelon, Alfonso Pedraza, Manuel Morlanes, Santi Cazorla, Samuel Chukwueze, Karl Toko Ekambi. VILLARREAL XI (3-1-4-2): Andres Fernandez; Alvaro Gonzalez, Ramiro Funes Mori, Victor Ruiz; Santiago Caseres; Mario Gaspar, Vicente Iborra, Pablo Fornals, Jaume Costa; Gerard Moreno, Carlos Bacca. Villarreal defied their precarious position in LaLiga to secure a thoroughly deserved 3-1 victory when these teams met in Saint Petersburg a week ago. That puts Javier Calleja's men on the precipice of a place in the quarter-finals and they will be expected to complete the job with the backing of their own fans at Estadio de la Ceramica. Zenit, who must score at least three times, are winless in four away matches in the Europa League this term, meaning they need to produce something special to advance. Hello and welcome to the decisive second leg of this Europa League last-16 tie between Villarreal and Zenit!